In a Medium post, Montreal-based Transit announced $2.4 million in funding in a round including new investors Accel Partners and Accomplice, as well as previous investors BDC and Real Ventures. Transit, which launched in 2012, has been bullish about its goal to take on major competitors; currently, Transit is the third biggest public transit planning app in the US, behind Google Maps and Waze. The company differentiates itself by displaying nearby departure times instantly, targeting people who already know what route they’re taking rather than people who are planning new routes. Transit said it wants to use the funding to improve the precision of its data; one of the challenges with the app is that stated departure times often aren’t the same time when the actual vehicle shows up, because cities either don’t have real-time transit data, or their data is imprecise. “We can’t provide too many details, but we’ve reached the scale where we can start producing real-time data ourselves. Crazy app uptake, plus riding data and math wizardry equals many surprises in store,” said COO Jake Sion. 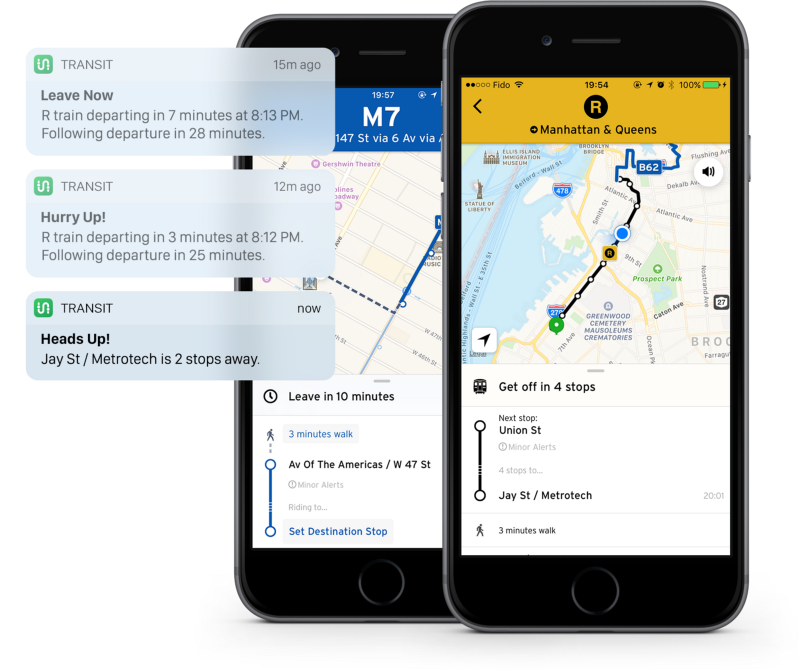 Transit also announced a major update to its platform with the launch of its personal transit assistant, GO. With GO, users receive voice and push notifications telling them when to leave their house, when to get off transit to make it to their destination, and whether or not they’ll receive their destination in time. 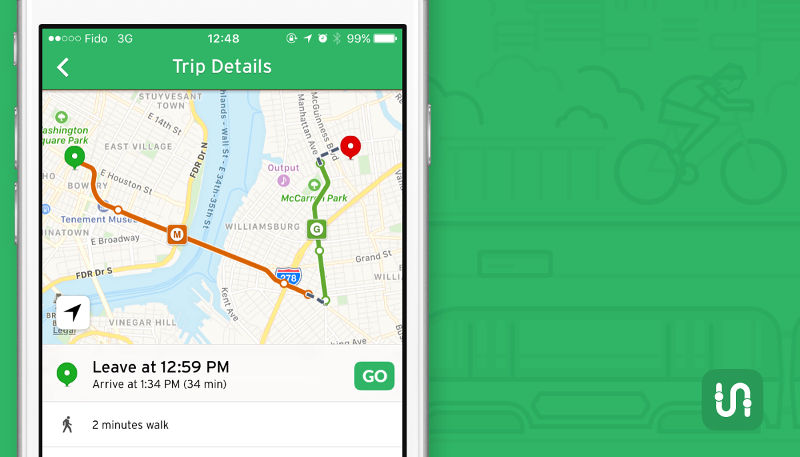 GO also mentions whether you’re walking too slow to make it in time for your ride, and provides an adjusted ETA and alerts should a user’s ride get detoured or missed. For its part, the city of Montreal has expressed a commitment to becoming a leader as a smart city. The city launched a $100 million fund for businesses building smart cities, and signed a two-year partnership with Waze in an effort to get a better grasp on real-time traffic data.